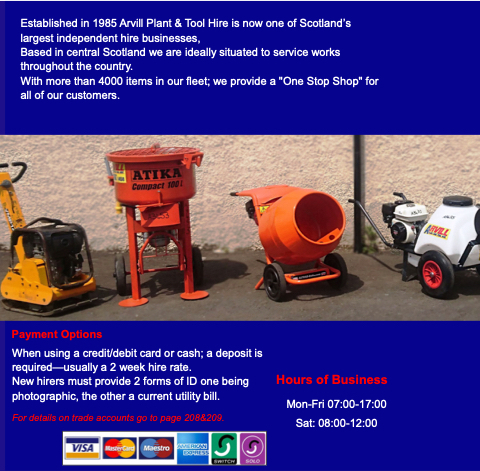 Based in central Scotland we are ideally situated to service works throughout the country. With more than 4000 items in our fleet; we provide a "One Stop Shop" for all of our customers. When using a credit/debit card or cash; a deposit is required—usually a 2 week hire rate. New hirers must provide 2 forms of ID one being photographic, the other a current utility bill. For details on trade accounts go to page 208&209.